If you are put off by festivals because of the loud noise that usually accompanies them, then you might be pleasantly surprised when a hush descends across several venues in London this month. 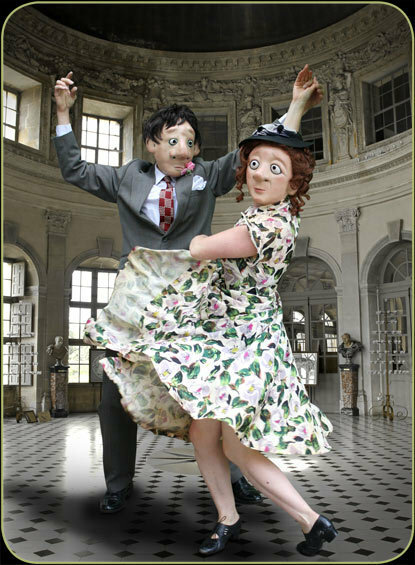 Between the 8th January - 1st February London's International Mime Festival 2014 offers an innovative line-up of cutting-edge entertainment from France, the Netherlands, and the Czech Republic. Enter a Vortex where airborne creatures fly across the stage in a dark show about identity, and the horror we face when our defences are stripped away. In A Bas Bruit, video, dance, and circus come together to take you on a journey that rebels against the established order of things. Lebensraum is a magical silent comedy about two inventors. Everything in their house is multifunctional: a fridge is also a bookcase, a bed is also a piano. Their lives a smooth running until they invent a female robot to do the chores. All the events are either making their UK or London premiere, and with amazing acrobatics, mesmerising optical illusions, puppetry, and more, the performers are not going to be the only ones left speechless.